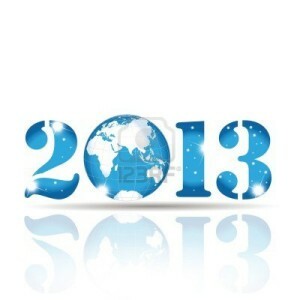 Special FREE RECORDING - 2013: What Lies Ahead? The Collective happily led a special call to welcome 2013 and look at the energies of this year and peek at what lies ahead for us and our world. 2013 is "The Year of Actualization: Realizing The Collective Dream". What will that look like for us? During the 1 hour, 17 minute call, The Collective shared about the energy of 2013, how it is different from the energy of 2012 and what lies ahead for us in this exciting and game changing year. After close to an hour sharing some important wisdom, The Collective guided a beautiful meditation taking everyone into the infinite space of the Heart, the space where unlimited possibility exists. 2013, the Year of Actualization: Realizing the Collective Dream brings with it upgraded energies, new opportunities and possibilities for us all. But to reap the benefit of this new highly charged high frequency energy The Collective emphasized there is a certain focus we must maintain this year. The energy of 2012 and the alignments of December 2012 brought powerful energy that has changed and recalibrated us inside, now those changes are going be reflected (actualized) in our world. The Collective emphasized how it is we must be with the energies of this year in order to thrive during what will be a year with big changes in the outer world. To receive the recording, please enter your name and email below so we know where to send you the download link for this very wonderful and informative recording. For the Money Reiki Healing mp3, please go to MoneyReikihealing.com and put in your info to download. If you did that and the mp3 you downloaded is not working, I can replace it. It may be something else causing the issue. Please send me an email. You can use the "Contact Me" link on the right side, or reply to the emails that came with the Money Reiki Healing mp3 so I can help. Thank you Al! I am loving the Love and intergalactic, interstellar Light! There is NO button to Click to Register for the 1.2.2013 Event!!! This is so, even after I refreshed the web page.